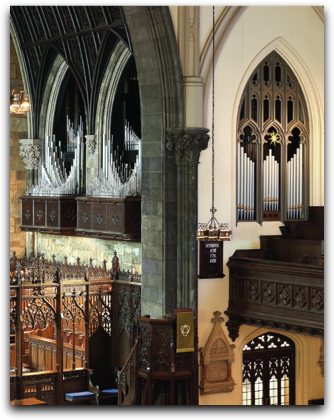 HOME TO THE Guilmant Organ School, the first institution devoted to the teaching of church music in America, The First Presbyterian Church continues its distinguished tradition of choral music, preaching, and concerts as it begins its fourth century as part of this nation’s history. 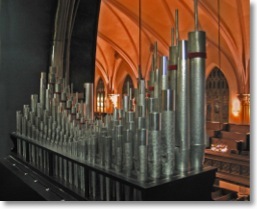 OUR TONAL DIRECTOR was given the freedom to realize an instrument capable of performing the full body of the organ repertoire, in addition to providing a pipe organ to support the soloists, choirs, and orchestra of the church for concerts and liturgy. 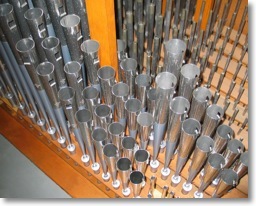 Amongst the more unusual ideas is the Werck, a “hyper-Great” inspired by the 17th-century Hamburg school. 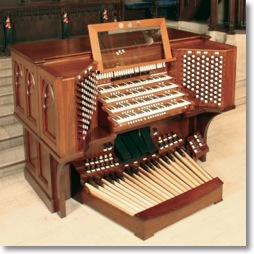 The organ’s flexibility reveals its many capabilities as one reviews the stoplist. To view and download a more detailed stoplist, please click here.